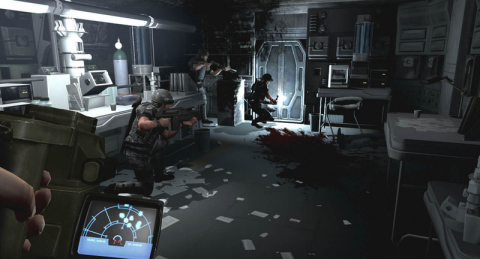 It's been some time since we've heard anything about Aliens: Colonial Marines from developer Gearbox Software. Perhaps its because they've been so busy working on Borderlands, or perhaps there just wasn't much to tell. Make no mistake, the four player co-op game is still in the works with more info arriving soon. "I know that there hasn't been much talk about what we're doing for awhile and that more details would be very juicy. Like so many people, I've been patient for years to finally be able to play this game and now that I'm actually involved in the creation of it I can tell you that it's extremely challenging to continue to be patient as it develops," he told us. "I want to tell all! But I can't. But I can say that we are working hard and that there are great things afoot and I know that when the time is right, Sega will be excited to share more details about the game. Until that time, I guess the only thing anyone can do is just keep pressuring Gearbox and Sega to spill more beans. Maybe one of us will eventually crack." Hopefully we won't be waiting too much longer on this - or at the very least, we won't be waiting to much longer to hear news of the game. Perhaps this will be an early 2010 release, then we can resume our "Game Over man" jokes. Page created in 0.2345 seconds.